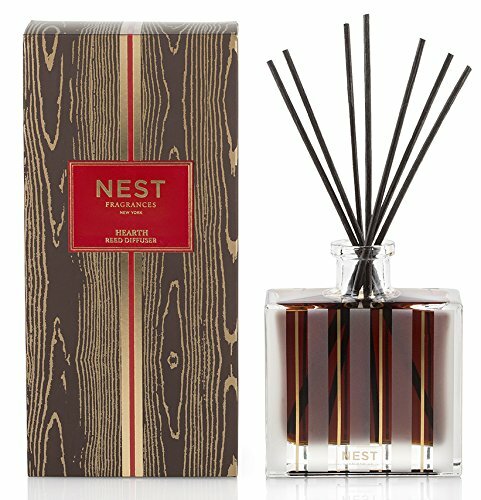 Reed Diffuser 175 mL / 5.9 Oz.. NEST Fragrances Hearth Reed Diffuser has the aroma of a wintertime fire created by combining rich oud wood with frankincense and hints of smoky embers.. Custom designed glass lightly touched with gold. The alcohol-free formula releases fragrance slowly and evenly into the air for approximately 90 days..